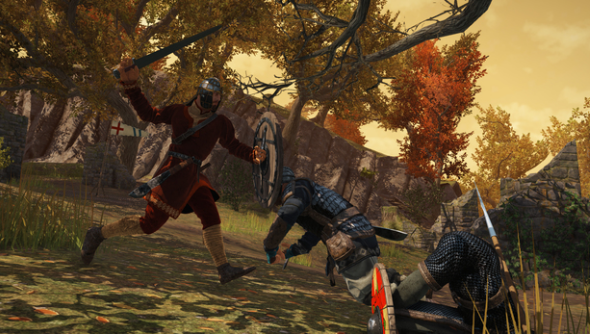 War of the Vikings, from those who forged War of the Roses, is currently in Early Access over yonder on Steam. A new content patch for the early build is adding three new profile classes to use in combat, including a fearsome Champion. The update, taking on the title “Veiðimaðr” (or Huntsman for non-Vikings), brings in a new trio of classes to wreak havock with, bringing the total of available choices to six. The most prominent of the new classes is the Champion, a stocky menace weilding the deadly Dane Axe. Alongside the new warriors three comes a collection of adjustments to ensure the early access version of War of the Vikings continues to work as smoothly as possible. Not smooth, of course, is the chin of any respectable viking. It should be at the bare minimum a bristly Thor-like goatee, and at very best a knotted, foot-long beauty. Pardox, in their usual comic nature, are looking for the best player facial hair in their contest “Beastliest and Bestest Beard Competition”. Gentlemen may submit photographic evidence of their most acomplished chinstraps to the War of the Vikings community for validation, and the most impressive beard will become a digital legend, gracing the face of an in-game character. To enter, you and your beard need only head over to the War of the Vikings Facebook page. If you’re a War of the Viking Early Access player, you might also want to check out the live stream playing right now (11am PDT/8pm CET) at Twitch.tv to check out upcoming new features in detail.